The number of homes on the market fell for the first time in 16 months in December, hinting at a potential acceleration in home prices in the months ahead. That might be good news for sellers, but not for buyers who could get priced out of the market or the real estate agents who represent both sides in home sales. Inventory dropped only slightly in December — it was down 1 percent from a year ago, to 1,85 million homes — but the months’ supply of homes on the market was already low. Anything less than six months of supply is generally considered an indication that demand is outstripping supply. 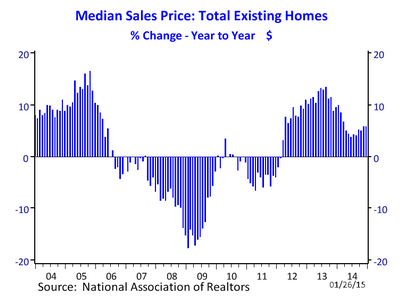 Home prices gains accelerated at the tail end of 2014. Last spring and summer, the median price rose between 4 and 5 percent. From November to December, the price increased by 6 percent, Yun said. 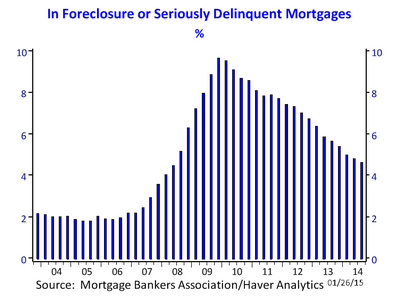 Part of the decrease in inventory could be due to shrinking foreclosure inventories. Realtors who specialize in distressed property sales “should be aware that there will be less business opportunity in this field going forward,” Yun said. 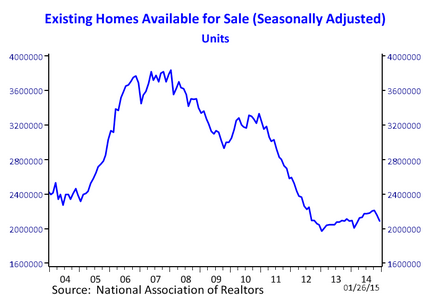 The drop represents a reversal from the overall growth in listings that had been experienced through the rest of 2014.